The fastest way to backup your data to the cloud is not fiber optic internet service, though that’s really nice to have. No, IDrive Express is going to beat the fastest internet connection AND it will not cause you any problems with an ISP quota on data transfers – though I think those are rare. IDrive Express is a FREE service (1 per year for personal accounts) from IDrive whereby you request the 1TB USB hard drive to make your initial data backup. IDrive ships you the drive at their expense, you backup your data onto it (with IDrive software) and then ship it back to them at their expense. 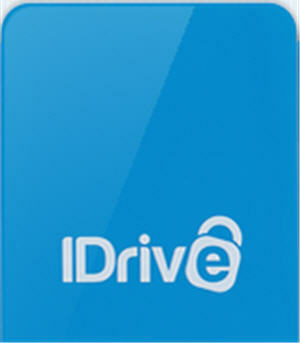 Is your data secure with the IDrive Express USB hard drive? Absolutely. Your data is encrypted at your PC before ever leaving it. With IDrive you have the option of using a private key that only you know, if you prefer. Otherwise it uses a secure key provided by IDrive. Should the USB drive fall into the wrong hands there is little chance anyone could decrypt it and make use of it, especially with the private key option. We know that many people, especially younger ones, are not worried about data security but we take it VERY seriously. That’s one reason IDrive is our TOP PICK for cloud backup. There are several reasons you may want to take IDrive up on the IDrive Express USB drive backup to the cloud option. Should you need your data restored in a hurry, IDrive Express is the fastest way to do that too. Again, 1 per year is free (3 for a company account). A USB hard drive is going to be the fastest way to get ALL of your data, securely, should you have to recover from disaster. Naturally, if you are in a hurry for select files you can restore them from any computer or device in the world with an internet connection. All in all, we love IDrive and it’s our #1 pick for online backup/cloud storage. Filed under IDrive and tagged IDrive Express, USB Backup.